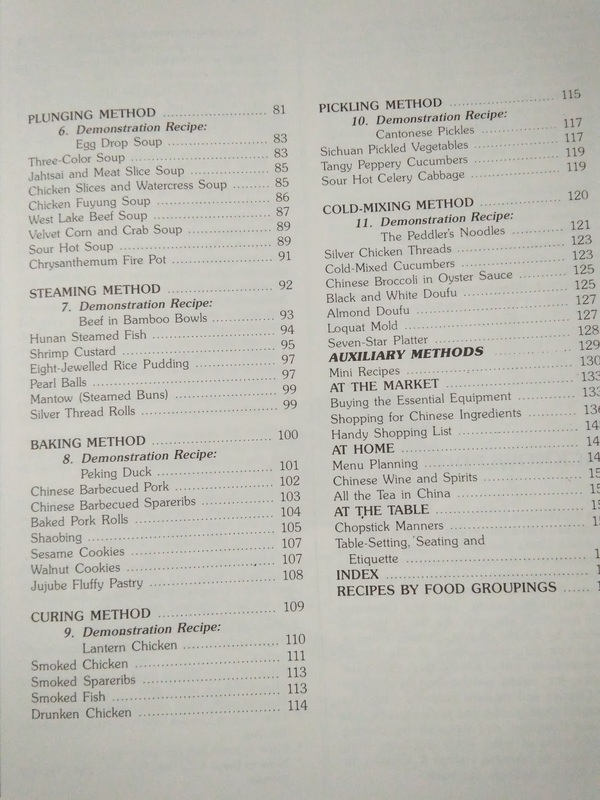 This recipe is from a very old recipe book published in Taiwan from my collection of food recipes. Looking at the year of publication, it is not less than 30 years old. 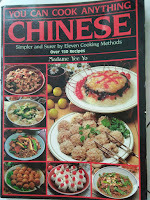 There are numerous recipes and the chef apart from sharing food recipes also shares much knowledge about Chinese cooking. It is a valuable reference book for novice cooks. 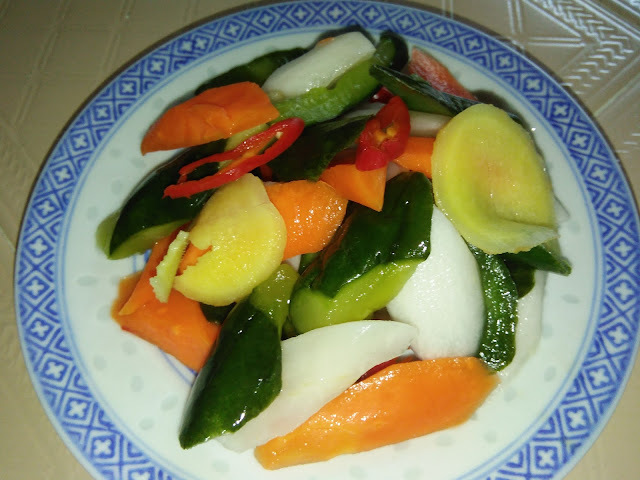 According to the Chef, the pickled vegetables are sweet, sour and crunchy. 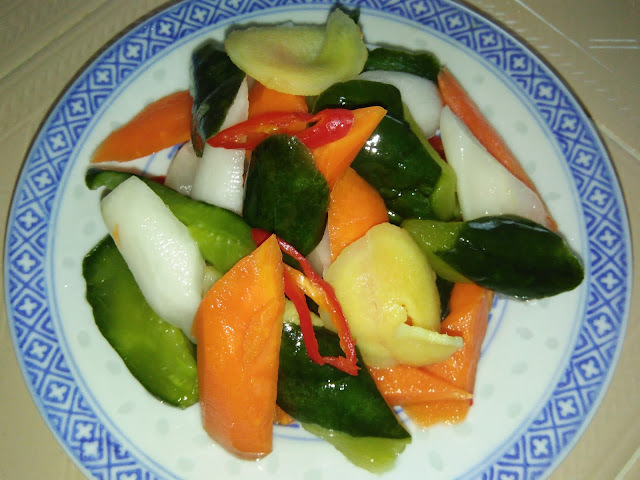 It tastes refreshing after a rich meal and is used in sweet and sour dishes. This pickle keeps well in refrigerator for several weeks. 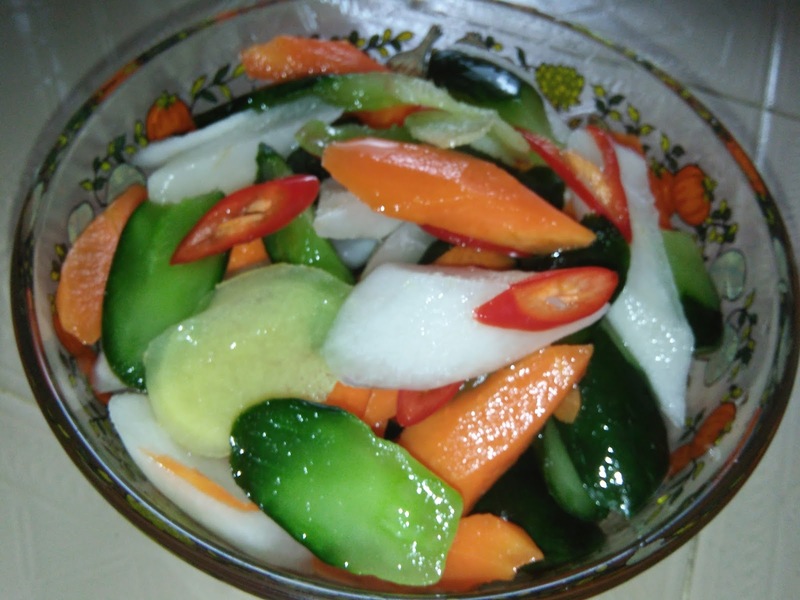 Great to serve this pickle with fried meats. 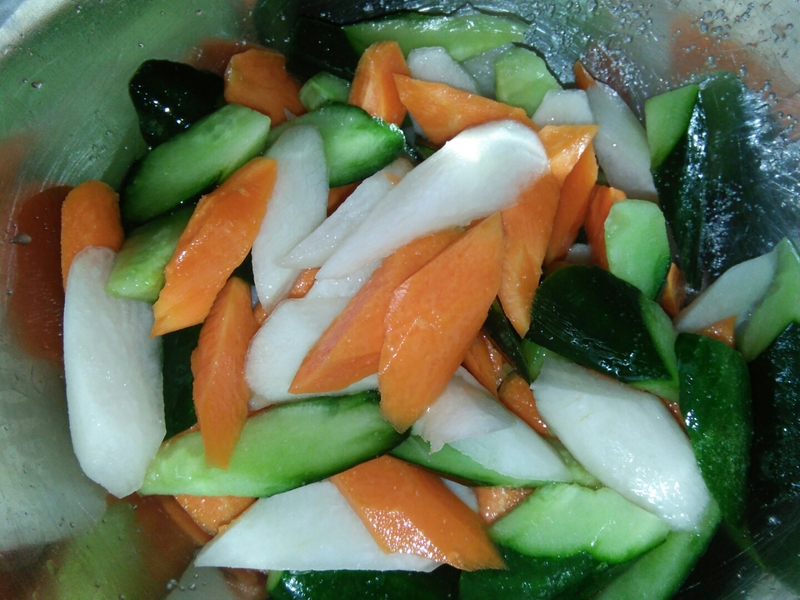 Roll cut the carrots and zucchini. Mix in salt and let them stand at room temperature for about 4 hours. Stir occasionally. Drain. Squeeze out and discard excess liquid in vegetables. 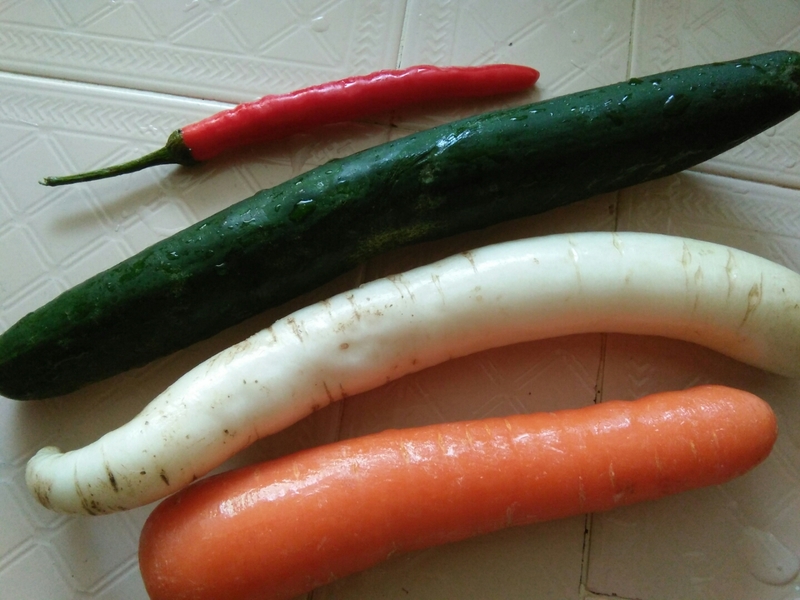 Combine ingredients with seasoning, add in chilli. 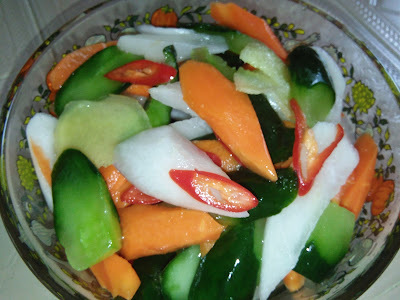 Mix well and chill in the refrigerator for several hours or overnight. Stir occasionally. May be kept in the refrigerator for several weeks. Hi Kimmy! This pickle is very nice for snacking. I think I am going to try it. Hi Phong Hong, this is an appetising pickle. 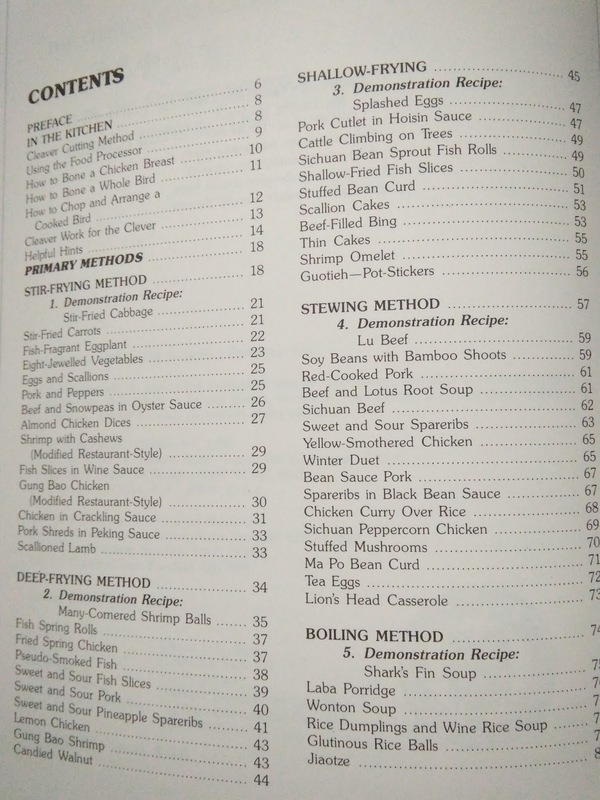 It can be used to prepare sweet and sour meat. 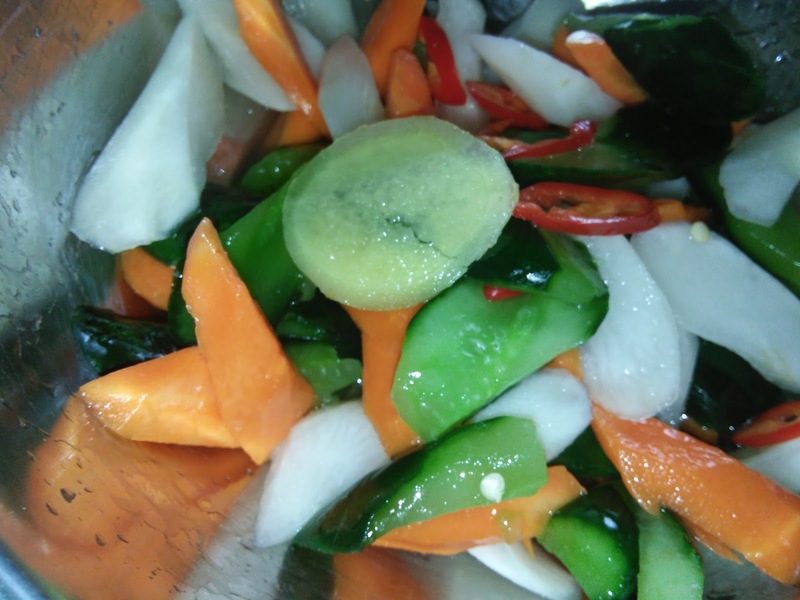 The seasoning ingredient can be used to pickle kiam chye, sliced white carrots, cabbage and other vegetables. Hi Kimmy, I think I will like this pickles! As I love pickles! 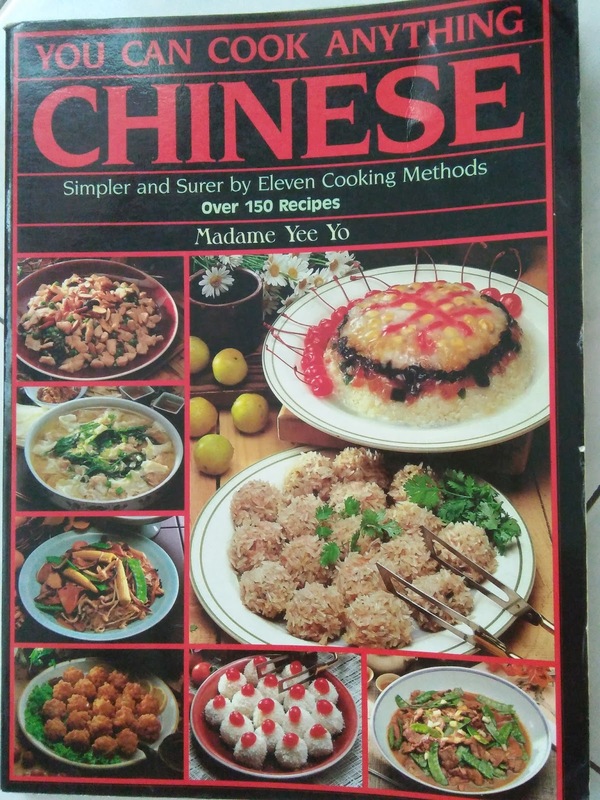 Hi Joyce, I read through a Gu Lao Rou recipe in this book that uses this pickles accompaniments. 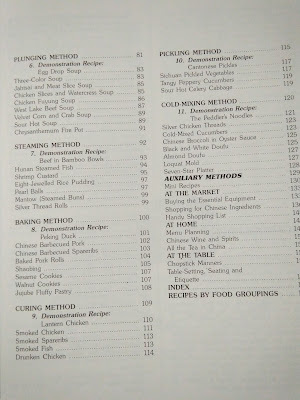 I would have kept some to try the recipe. Looks like I have to make another batch.